Update (5/4): Bumped to the top. There appears to have been sort of mix-up. During tomorrow’s stream, 2006’s Momotaro Dentetsu 16: Hokkaido Daiidou no Maki will be shown. The Niconico page likely had an error. LEGO Marvel Avengers (Wii U / 3DS / PS4 / PS3 / PSV) was shown during the last broadcast, so Denjin Gacha probably copy-pasted the previous stream’s description when writing the description for the latest broadcast, and did not change the platforms for its featured game. Original (5/3): The Momotaro Dentetsu series began way back in the late 1980s. Konami has now announced that a new entry in the board game-style franchise is coming to both Wii U and 3DS in addition to PlayStation platforms. This is the first time we’re seeing the IP since Momotaro Dentetsu World on DS back in 2012. 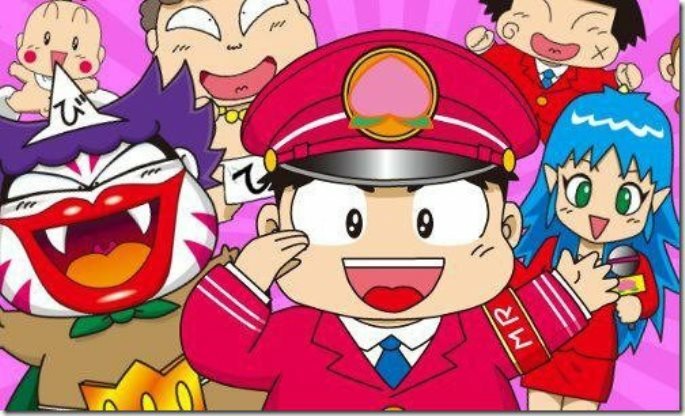 Details on the latest Momotaro Dentetsu title have yet to be revealed. However, it will be featured on the next Denjin Gacha Niconico live stream on May 5 at 9 PM Japan time.